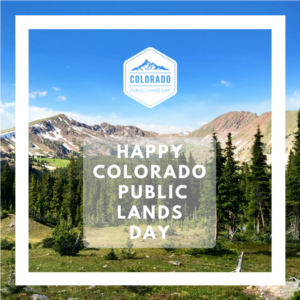 Saturday, May 19, is Colorado Public Lands Day — an annual celebration made possible by Vail state Sen. Kerry Donovan — and a sentiment deemed all the more important by conservation groups during the pro-industry days of the Trump administration. Donovan will be celebrating Colorado Public Lands Day with a cleanup session at the Gore trailhead in Vail from 9 a.m. to noon on Saturday. RSVP via her Facebook page. Eagle state Rep. Dylan Roberts will be celebrating the day participating in a hike into the Spraddle Creek area of Vail that’s proposed as a wilderness area addition in the Continental Divide Wilderness, Recreation and Camp Hale Legacy Act. Click here for more information. A coalition of nearly 100 Colorado businesses – most of them from Eagle and Summit counties – used the occasion of National Small Business Week to fire off a letter to Republican U.S. Sen. Cory Gardner on Wednesday seeking his support for a proposed local wilderness bill. The offspring of the far more controversial Hidden Gems proposal, the current incarnation – known as the Continental Divide Recreation, Wilderness, and Camp Hale Legacy Act – is sponsored in the House by U.S. Rep. Jared Polis and in the Senate by Sen. Michael Bennet. Citing the state’s $28 billion outdoor recreation industry — $1.5 billion of that spending in Eagle and Summit counties — a wide array of local businesses asked Gardner to join Bennet in supporting the bill, including Gorsuch, Ltd., West Vail Liquor Mart, Grappa Fine Wine & Spirits, Engel & Voelkers Real Estate, East West Partners and Paragon Guides in Vail. Polis and Bennet, both Democrats, first rolled out the latest version of the bill in January just ahead of the Outdoor Retailer + Snow Show in Denver – an event that moved to Colorado after many years in Utah because of the strong GOP push in that state to scale back protections for public lands and allow for more mining and oil and gas drilling. Wilderness is one of the most restrictive designations for federally-owned public lands, banning development and most forms of mechanized travel. Bennet was poised to introduce a Senate version of the bill in 2016 before Trump was nominated and a Republican Party platform calling for the conveyance of federally owned public lands to state control was passed. Since then Republican lawmakers in Utah got Trump to propose scaling back Bears Ears and Grand-Staircase Escalante national monuments. Gardner also pushed hard last year to get assurances from Interior Secretary Ryan Zinke that national monuments in Colorado would not be targeted for reductions like the cuts proposed for Bears Ears and Grand-Staircase in Utah. To read to the letter to Gardner’s office, click here (pdf).